Heartland Institute Releases Peter Gleick Emails Detailing Fraud, Identity Theft | Watts Up With That? 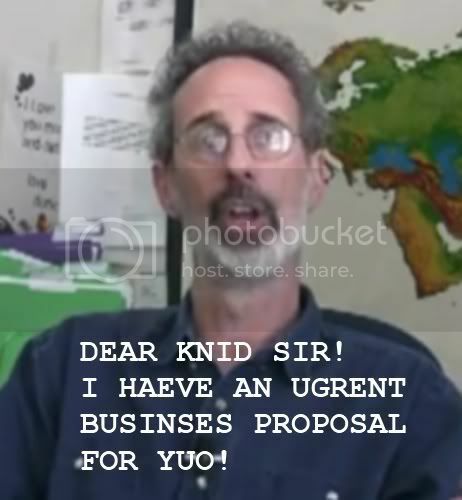 FEBRUARY 24, 2012 – The Heartland Institute today released all the emails Pacific Institute President Peter Gleick sent to The Heartland Institute for the purpose of fraudulently obtaining internal Heartland documents. The emails can be found at Fakegate.org. 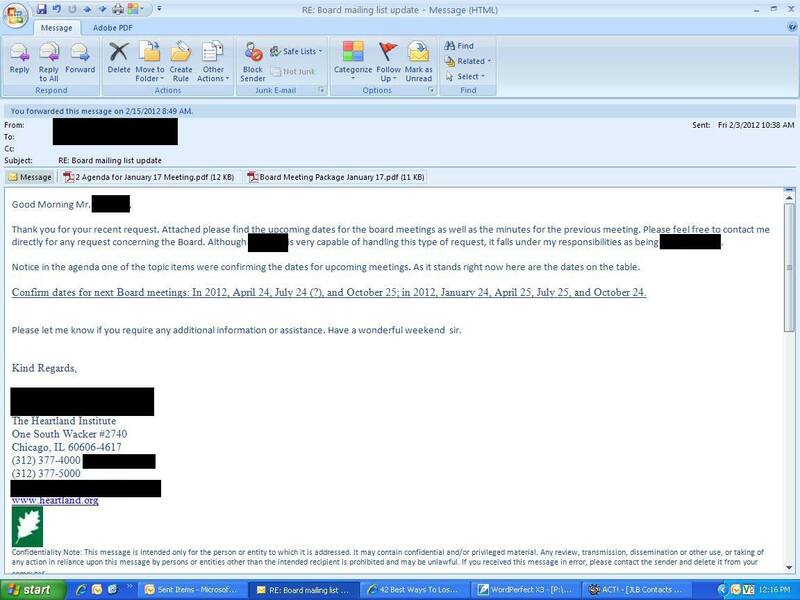 The emails reveal how Gleick “phished” the documents by stealing the identity of a Heartland board member, an act to which he publicly admitted in his February 20 Huffington Post confession. Minor redactions have been made to the emails to protect the individual privacy of those involved. The newly released emails also reveal the first email from Gleick to Heartland was sent on January 27, 2012 – the same day he rejected a cordial invitation to debate climate science at The Heartland Institute’s 2012 anniversary benefit dinner in August. Email correspondence between Gleick and Heartland Institute Director of Communications Jim Lakely can be found here. That correspondence makes it evident Gleick was aware of Heartland’s policies concerning the confidentiality of its donors. We repeat our request that the fake climate change strategy memo be removed from Web sites and blogs such as DeSmog Blog, Think Progress, and the Huffington Post, along with documents that were stolen from Heartland. It is the ethical thing to do. Previous press releases from The Heartland Institute plus links to dozens of news reports and commentary on Gleick’s transgressions can be reviewed at Fakegate.org. 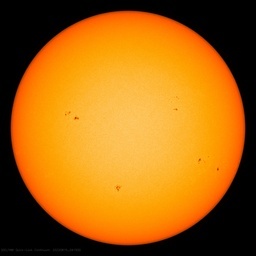 ← The UK Independent asks: "Is catastrophic global warming, like the Millennium Bug, a mistake?" I describe Al Gore’s justifications for bizarre actions concerning climate his “Broken Moral Compass.” There is a chapter about same in Don’t Sell Your Coat. Gleick’s actions, seen up close in the e-mail presented here, are chilling. Almost enough so, but not quite, to make me not want any more popcorn. This is pretty shocking stuff, and the requesting of contact info for the whole board tells us he had bigger plans in mind than just uncovering the info behind the “Strategy Document”. However, I’m a little shocked that Heartland would just take at face value that this was an legitimate board member request. I would have expected policies to be in place to contact the board member directly to confirm that the request was legit, or at least send all communication to both email addresses simultaneously. The revelations here are just shocking for someone as supposedly “bright” as Peter Gleick. I hope they prosecute him to the full extent of the law. The company I work for requires all employees to complete an online phishing awareness training. Phishing is a REAL threat in the business world today, and with a few easy steps (e.g. examining closely any embedded links in e-mails, and e-mail addresses of individuals), you can thwart most phishing scams. Be particularly wary of anything related to online financial transactions, such as Paypal, your personal bank, Amazon.com,etc. This was no spur of the moment act of anger or revenge but systematic and deliberate fraud over a period of 14 days. I don’t see how he can get away with this. Looking at the emails and the attachments, it would be no problem to exclude the fake memo. Just count files received by Gleick and what later emerged. His lawyer must also be drinking the green coolaid, if he 1.) thinks Heartland is afraid of discovery, and 2.) thinks he is going to get fishing license in a criminal case against the victim. he has admitted impersonating a board member, here is the evidence that he did this. Over several days (not spur of moment) I have heard that the law is rather more forceful in the USA than perhaps the UK on this sort of behaviour. I hope Peter Gleick is getting some veryvery good, rational advice from somebody..
Ie *IF* somebody sent him a fake document, he has no obligation to that person at all !! and to assist Heartland in this. If he knows who was involved in the creation of the document (hopefully not Peter, but very many people only thought of him, because of it in the first place) is to confess all now, apologise. seek making reparations (very publically) and hope that Heartland would be satisifed.. If there was a MAJOR, MAJOR correction very publically, possibly might avoid a civil damages case? I have to watch an online video at least once a year about this kind of phishing attack. Surely Heartland has updated its internal security policies and training now. This is a teachable moment for everyone. The weakest link in security is always the human factor. If I’m reading this right, Gleick created a fake gmail address, and it seems that Heartland wanted to highlight that fact. Heartland screwed up by not having a policy of no confidential documents to webmail addresses. This wasn’t exactly high-tech hacking. There’s a lesson for everybody here: email is insecure. No confidential documents should sent unencrypted. Period. Secretaries shouldn’t be authorized to hand out keys. Period. Even if Gleick phished this, an encrypted payload would have been useless to him. The keys need to be treated like … keys. Handed out on a need to know basis by the IT guy. In person. Only. Interesting…by my count, he held back one pdf (the resume) in his document dump. Of course, the IRS form and the forged memo aren’t anywhere to be seen. Why do I have this ominous feeling that Anthony knows way more than is being posted. All the posts betray that Anthony et al are playing chess when the greens assumed they are playing hop scotch….bad assumption. I read ostensible “breaking” news here and it is all slightly stale news in reality for those in the know. I do understand why the news needs to be released is such a controlled fashion. Gleick made the one mistake so-called geniuses always make, he thought Anthony et al were dumber than him. Turns out, the Heartland guys did everything right and let Gleick ravel himself…Gosh… though chilling are the fake emails, I almost pity the dumb-@55. Gleick did this because in the end, it is within his nature to do it. Hmm, aren’t there laws against identity theft? It appears that the email requesting confidential board member information meets the criteria for proof of the crime of cyber impersonation under CA law. Criminal wire fraud under federal law also seems evident. It is time to compose a farewell hyku for Peter Gleick. How about a contest, Anthony? ….. or a civil case. It’s probably a scare tactic to imply that there’s going to be a big fight. Like the opening scene in Gladiator …. and it will end the same way. There’s no defense here. My oh my, are those e-mails vile. This freak wants to save my planet ?? Mosher commented on that. In fact, that’s what led him to Gleick. I’m not seeing what’s so unusual. Can someone point out exactly what’s so unusual/idiosyncratic? Anthony, Heartland gets a win on this eventually, but the Greens will not underestimate you guys again. They will regroup and lay a trap for Heartland. In his “confession”, Gleick says that he did not alter any of the documents he stole from Heartland. That (2) is added when you open a pdf, make changes, and then save the changed document to the same directory as the original. Did anyone else experience a cold damp skin crawling sensation when they read the emails? It was caused by the cold-blooded dishonesty of Gleick’s politeness toward the HI staff members. The CAGWist’s got themselves a real sick ‘hero’ there. It’s such a dumb mistake by the HI staffer to send the info out like that without some way of verifying Gleick was actually the board member he claimed to be. I’m actually wondering if HI figured they were the target of a phishing attack and went along with the whole thing to give Gleick enough rope to hang himself, and of course, he obliged spectacularly. The IRS Form 990 is a public document. Same issue WRT filenames on the Budget document. HI sent (1-15-2012) 2012 Heartland Budget.pdf, DSB has (1-15-2012) 2012 Heartland Budget (2).pdf. Also, the “Board Meeting Package January 17” file from Gleick has only one page in it. Odd to call one page a “package”. And Gleick got 2 separate transmittals of that file fro HI. Incorrect. That (2) is added by browsers and email clients when you try to save the file into a folder where it already exists. When you open a file in editing software, it will usually save it over the old version, or prompt the user for a new name, and most people don’t use (2) as suffix, usually something more meaningful is used instead. Further, that (2) could be added on Gleick’s PC (when he was saving files from Heartland emails) or on one of his recipients’ PC, when they were saving the files from Gleick’s letter. In short, those suffixes aren’t telling us anything at all. Gleick claims that the reason he did this was to confirm the memo. If he was attempting to confirm it then it would be logical for him to specifically request the 2 documents. He doesn’t do this. What he does is ask for the schedule of board meetings, most recent Board minutes and agenda materials. He is then sent the documents. If he had the memo in his possession then it would have been logical for him to simply say “can you send me the proposed 2012 budget and fund raising documents?”. There is no guarantee that asking for the agenda materials would get him the documents since they might not have been on the agenda (they may have been on December’s agenda for example). This leaves us with 2 possibilities. 1. Gleick had the memo and was fortunate to obtain the documents without specifically asking for them. 2. Gleick obtained the documents and crafted the memo based on the documents he received. The resume shows up in the Binder document. Was it there to begin with, or one of some edits to tthat doc made by Gleick? He also held back the Jan 17 mtg minutes. How do we know that Gleick acted alone? Much of the narrative so far has assumed that Gleick was a lone wolf, acting on the spur of the moment — a crime of passion, it you will. Gleick’s “confession” was carefully crafted to leave this impression. But this email suggests that Gleick had information that would take a bit of time to collect. 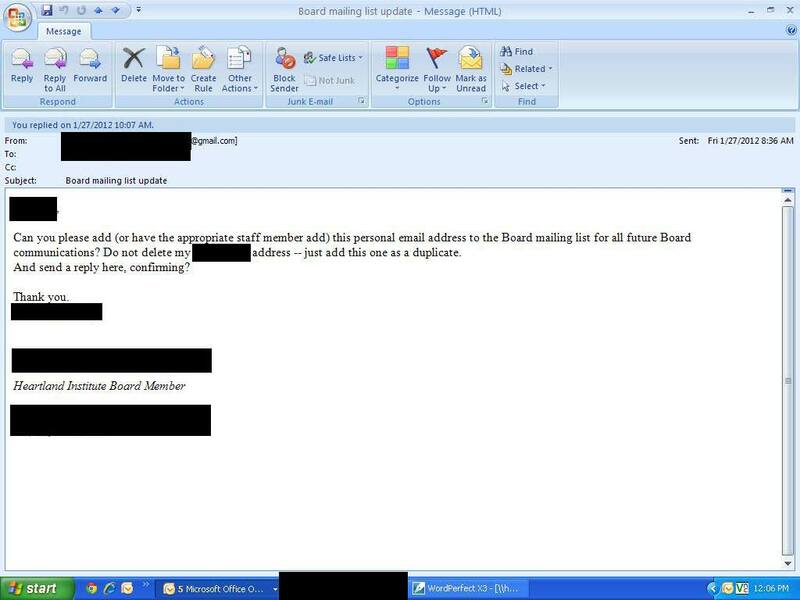 He needed to know the name of the board member (easy, available on HI website), he probably needed to know the timing of the Board meeting (not so easy to obtain), he needed to know the email address of the admin who deals with this kind of stuff (this isn’t the kind of email you would send to info@heartland.org) and perhaps he knew that this particular board member would not check his/her email in time to catch the subterfuge. On that last point, it would seem like there would be a reasonably high probability that the admin who dealt with this request would send a confirming email to the real email address of the board member along with the fake address. If they were to do that, the jig would be up — unless Gleick and Co knew that this board member would not be looking at email for a while. All in all, this seems like a carefully planned, premeditated operation. And it seems like the kind of thing that someone who really understands how the media operates would be behind (like the kind of specialized PR firms who do opposition research for political advocacy groups). So who else was involved? Maybe Gleick can avoid jail time if he has some information to trade with the DA. On the other hand, maybe that’s why Gore’s big time lawyer friends jumped in so quickly — to make sure Gleick doesn’t get a lawyer who cares more about saving Gleick than saving the cause. Not in this case. I have downloaded, from DeSmog, the files both with and without the (2) and they are different files. They contain different meta data. They are different sizes, and in some cases are even encoded using different versions of PDF. Which of the file names in the attachments match the ones on Desmogblog ? Gleick originally portrayed all of the documents he circulated, including the fake climate change strategy memo, as originating from Heartland. Now he claims he received that memo from an “anonymous source” before his theft. But the emails Heartland released today reveal Gleick never asked for either of the two documents….. It should all come out in court in due course. Bring on the popcorn. How does discovery work in a Federal case where the US is the injured party compared to a civil case where Heartland would be the injured party ? Maybe something shovel ready in the penn ? I just looked at the Pacific Institute’s web site, and they have this memo up. The Board of Directors of the Pacific Institute is deeply concerned and is actively reviewing information about the recent events involving its president, Dr. Peter Gleick, and documents pertaining to the Heartland Institute. Neither the board nor the staff of the Pacific Institute knew of, played any role in, or condones these events. As facts emerge and are confirmed, the Board will inform all stakeholders of our findings and of any actions based on these findings. In the meantime we maintain our commitment to the smooth operations, governance, and mission of the Pacific Institute. I’m a bit lost on Gleick’s version/s of what happened. In my line of work, we frequently use the (1), (2), (3) naming convention, among others, to indicate sequential revisions. Neither my browser nor my email client does this. They are telling us, at minimum, that there were multiple versions of some of these files coexisting at some point. That requires an explanation. Some of the potential explanations contradict current claims. This is a legitimate line of inquiry. Heartland do not really have top secrets or proprietary to protect — their business is to get information out, not to hide it. So, the idea that someone who phish them for documents is slightly paranoid — note Gleick didn’t actually find anything and had to use a fake document to make his case somehow. Besides that, as was pointed out, Gleick committed wirefraud and if the promise of jail and public shame didn’t stop him here, he would have found another way, making the already illegal ‘extra illegal’ has never stopped anyone so far from committing crimes. It’s people who commit crimes, not the opportunities they have to be criminal…! So is DSB changing files to confound investigation – either by changing the content of the documents, changing the metadata, or both? I recall the board contact info being part of the release, but it isnt out there now. Perhaps i am misremebering. Anyone have the originals? It’s pretty clear this guy was setting the stage for becoming a climate superhero upon starting his position at NCSE. Indeed, which makes this that much more entertaining as the facts dribble out. Sneaky in a good way. Interesting that it appears Gleick never received the 2010 Form 990 from Heartland. But he stated that all the doc’s, except the strategy memo, came directly from Heartland. I know it is available to the public, but Gleick stated he got it from Heartland. I can’t believe he lied about the source of the 2010 Form 990 too! Tallbloke’s computers were raided by the police…..in search of truth and justice…..
whereas, in California it seems, clocks go reverse…. I guess there is nothing on G.’ computers to warrant action…..
I’m no defender of PG’s actions but having perused the emails and documents for a couple of days and looking at these screenshots I have to say that the HI’s procedures for handling confidential data are at best “shoddy”, in fact I would add the word “very” to the start of that. At least if someone had an email from a “board member” saying they had now changd addresses, why not contact them to make sure ? Maybe by phone ? How hard can it be ! If this is the best and the brightest of libertarian thought then the “left” is perfectly safe. One can only hope that charges are brought so that all of Dr. Gleick’s computers are seized for a thorough forensic examination. I hope that one of the attorneys reading this will opine on the extent of the Pacific Institute’s exposure should he have done this on the PI’s time and equipment. He is the founder of the PI. I suspect that every computer that he uses has a PI property tag on it including any laptop or home based tower that he uses. If a search and seizure was appropriate in TallBloke’s case, it seems even more so in Dr. Gleick’s case. I agree, I do think that in his stupidity and arrogance he did not think this through. I have heard he has been ranting a bit lately. The amount of times in my life when I have been so adamant about something only to realise I was totally wrong, that moment can be painful. I wonder how many of these warmists are starting to get that feeling. Your entire career is on the line so thinking rationally is hard. I get the feeling many of these guys are starting to re-appraise AGW. I guess they are checking every chart and table and they all saying nothing to worry about. It must be so painful. I also think that Anthony knows a little bit more about this episode. Anthony can savour his moment as he’s been the target of lots of spite and hatred. Braver man than me. BT, take a look on CIF, they think the fake is fact. How do we know that Gleick acted alone? Much of the narrative so far has assumed that Gleick was a lone wolf, acting on the spur of the moment — a crime of passion, it you will. Gleick’s “confession” was carefully crafted to leave this impression. But this email suggests that Gleick had information that would take a bit of time to collect. I have had similar impressions as yours that there is reason to question the presumption/impression that Gleick was/is the sole actor in the HI hoax/fraud. January 27, 2012, 12:10 p.m. – Gleick receives notice for HI staffmember that he has been added to the Board directory of email addresses. February 3, 2012, 10:38 a.m. – Gleick receives from HI staffmember two documents; the ‘2 Agenda for January 17 Meeting.pdf’ (12 KB) document and the ‘Board Meeting Package January 17.pdf’ (11 KB) document. So, investigation of the time period immediately following those two dates might be fruitful. I highly recommend looking for a disturbance in the Farce (‘cause’ community) during those periods. Second point is the tight interconnectedness we know exists in the community supporting the ‘cause’. They are an efficient nexus. Gleick knows they support attacking skeptics. How could Gleick refuse such a proven and willing tool to use for his efforts? I had a dialog with Lucia yesterday at her BB about doubting Gleick was a lone actor (lone wadi) in the HI hoax/fraud. I take it that you’ve seen Desmogblog’s latest offering? So he collects these documents over a period of two weeks, and sits on them for another half week or so before disseminating them? This is about as pre-meditated as it gets, and I would not be at all surprised if there are discovered conspiring parties involved. It has the feeling of an immature person who, once they have succeeded at something naughty, keeps pushing the envelope to see how much they can get away with – perhaps bragging secretly to their friends all the while, who may egg them on further. I would sleep better at night however if it were truly just him acting alone. He knew what he was doing, he did it over a long period of time, he knew why it was wrong, and when the time came, he didn’t “leak” the information, but blasted it out to over a dozen (15?!) contacts sure to help with the defamation. Did Heartland offer him the opportunity to debate before or after he started pfishing? As has been said several times, the issue of the forgery is important, and identity theft is significant. But the Big Bad here from Gleick’s POV is that his actions, the ones he’s already confessed to, clearly violate the Federal Statute against Wire Fraud, and that is a Federal Felony carrying a sentence of up to 20 years in prison and a large fine. A Federal Felony is a damned serious charge to be up against, especially since Federal Criminal Courts have about a 95% conviction rate for cases that go to trial. More to my previous comment wondering who else was invoked — I wonder if Gleick paid anyone to do the research that was necessary to carry this out? And if so, did he use federal grant money for that purpose? If he did, then we can add a series of additional criminal statues that were broken. And, such payments could put the Pacific Institute’s board members at risk of personal liability. Further, if there is any evidence that one of the funding agencies had any kind of discussion with Gleick where they said something like: “it would be nice to establish that the skeptics are funded by Koch or big oil”, then that would provide the predicate for a Congressional investigation. The fact that EPA is being busy little beavers trying to remove public evidence of their connection to Gleick seems… interesting. Do you want to imply that Heartland knew they were being phished when Gleick’s e-mail arrived there? I think that’s one level too paranoid. Of course, they COULD have looked at the e-mail header which tells you the route the e-mail has taken; and probably they would have seen it came from California. Depends on their policies and care whether they did it… In that case they could have played Gleick knowingly… But I don’t think Heartland has the skills to have thought of that. They’re not an IT shop. Thank you so much for taking the time and trouble to explain this to me, Terry. It’s much clearer to me now. It appears he started phishing the very same day he declined the speaking invite (to the Heartland Annual Donor gathering). In the email RSVP (and before) he was pressing for donor information, which Heartland declined with a list of very specific reasons. This must have really pissed him off. Heartland needs to be seriously careful in the way they release this information. It’s too late now, but full desktop screenshots are a bad bad idea. I can gather all kinds of information about the softwares they use there (looking for easy in) and at least one person that works there. I see they are using MS Exchange, or at least MS Outlook, so the MS Exchange is a high probability. They run Sage Software’s ACT! CRM (customer management software). They’re running RealVNC for remote desktop access, so I could attack that to get into their machines. I can also deduce, with a little Googling, that the person who’s machine is being displayed is interested in weight loss, based on the Internet Explorer title they’re browsing. If I were a shifty eyed character, I would find a WordPerfect exploit, wrap it up as a weight loss attachment for “42 Best Ways To Lose Stomach Fat Fast” and throw it at every Heartland email address I could find to see what sticks. All it will take is one interested employee (perhaps this one) to open the attachment and I’ve now got all of Heartland’s customer base from their ACT CRM, via VNC. Seriously, if Heartland is having troubles with simple Phishing and Social Engineering exploitation, that will be nothing compared to giving away information about softwares like VNC, WordPerfect, Outlook/Exchange and ACT!. Heartland and FakeGate.org need to consider a little more carefully what they release to the public. If they’re going to do screenshots, at least use the Alt+PrntScrn, so just the Outlook app would have been exposed. OUT, OUT, DAM E-MAIL DOTS AND CODES OUT I SAY….!!! I disagree Paul. They’ll continue to understimate all of us. They have clearly got to the stage now of genuinely believing their own propaganda and will eat themselves – Gleick style – as a result. Heartland offered him it before he started pfishing. He might have even got the contact email address he used from the email inviting him to the debate. Gleick seems to use Parentheses on parts of sentences that would ordinarily not be separated. Proper use of parentheses are for asides (something related, but not belonging in the same subject as sentence), or clarification (refer to this and my previous parentheses). That doesn’t quite fit the use of parentheses. You could simply eliminate those parentheses and the sentence would read just fine. I think Heartland is being quite cocky in their behavior thus far. They seem to be behaving as an organization that thinks they can pressure their legal opponents into a major concession. All these public releases of evidence on the internet are very unusual. I am not a lawyer, but I cannot remember the last time I watched a legal case in it’s infancy where one side was displaying so much detail of what happened before a judge was involved. Well, if you look at the screencaps, you see no specific document requests. If Gleick were confident after having gained access to the mailing list that his address had been accepted as part of the group, and he were acting on the information that the faked document contained, why wouldn’t he ask for specific documents? Having dealt with boards of directors before, I would expect that requesting copies of past minutes of meetings or agendas would be no big deal, something a secretary would be “happy” to provide. That irritating little popup haunts me to no end. I have no interest in losing weight. Fish taxonomists have just announced that the species currently known as the Northern Long-nosed Sucker will be renamed the Northern Gleick. After learning of these details I am more convinced than ever that this was a setup. If they realized he was phishing it would have been so simple to feed him the fake document. This whole affair is astounding. It’s a story that Hollywood would pay expert writers big bucks to conceive. I guess bottom line for Gleick is if you can’t convince people in a fair debate, steal their identity and use that to steal their confidential papers to shame, threaten, and embarrass them. However, in a classic twist of good old fashioned poetic justice, Gleick fell on his own sword. The CAGWsters are gonna get their due. Something that is particularly galling here is that he should decide to do this immediately after the speaking invitation email exchange we have already seen. He’s treated so politely by the HI the only way I can possibly get into his mindset to understand why he suddenly decided the phishing would be a good idea is that he is so thoroughly convinced that HI and others ARE part of some enormous conspiracy – fuelled primarily by the usual suspects (Desmog, Guardian etc) who tell eachother the same things over and over and so therefore they must be true. That such a senior and influential scientist could think like this is chilling. There is definitely enough Prima Facie evidence to take this to court and go for a custodial sentence. These evidence presented so far show that Dr Gleick had been made aware of HI policy regarding privacy of donors. The faked policy memo and the leak of donors demonstrates a criminal intent to cause financial loss and actual harm to the HI reputation. The ID fraud, Wire fraud and Electronic impersonation are criminal offences. Further it was a premeditated plot carried out over a two week period. Has anyone in California informed the police and made a lawful demand to have Dr Gleick arrested and charged yet? More evidence that HI likely wasn’t setting up Gleick, rather they just don’t have any internal knowledge of how computer/system/internet security works. Isn’t it interesting that the one side of the AGW debate that feels it is alright to commit fraud, to intimidate editors, to exaggerate findings to pump up political support, and to engage in endless ad hominem attacks is also the side with the most money, the governmental support, and the friendliest media access? Yep. And watch the silly buggers make a mess of that as well! The more attempts they make, the more ridiculous they look. Yes you’re absolutley correct, please continue to think that and keep doing what you’re doing, we’re loving it. “Anthony, Heartland gets a win on this eventually, but the Greens will not underestimate you guys again. They will regroup and lay a trap for Heartland. Exactly. He is hardly a climate science genius like the Railway engineer head of the IPCC, Pachuri, or Saint Al Gore, or Dr Michael Mann who cannot remember the basic steps involved in the scientific method, or even that god-like intelligence of Climate expert scientist, Dr Jones who admitted that he does not even know how to add up a column of numbers in a spreadsheet! We are clearly having to deal with the highest intellects and genius intelligence. Word to the warmists- The truth won’t alter just because you don’t believe it. “Fish taxonomists have just announced that the species currently known as the Northern Long-nosed Sucker will be renamed the Northern Gleick. And how would they have made him scan it on his EPSON scanner in the Pacific Time zone? Oh, I see, by snail-mailing it to him on paper BEFORE he started phishing. Using the Heartland Tardis to go back in time AFTER the phishing started. You forgot to add that the stolen information had to be appended with fake information to make their case. Had Peter Gleick actually found accurate and truthful evidence of criminal conspiracy in any of the information he blagged, (which incidentally is a crime for which British journalists have been arrested over), then he could have made a legitimate public interest defence. If he had made public only honest, unaltered and original genuine documents which uncovered a criminal conspiracy, THEN he would have been able to take some credit in the public interest defence. As it is all the data he obtained through deception was legitimate, truthful, lacked any evidence of illegal or questionable actions, and contained no smoking gun, so the FAKE document was needed to cause injury and harm to reputations. All this is pre-meditated and shows a criminal intent to cause harm and loss. These are serious breaches of criminal and common law. How do we know that Gleick acted alone? Because he went through with it….and then confessed. Gleick wasn’t smart enough to know ahead of time that he would be caught….. If he had told anyone with two working synapses ahead of time, either he wouldn’t do it this way, or would have done it a different way, or not at all…..
Heartland needs to have that video yanked at YOUTUBE. It is libel and slander. It is produced by Big AL’s Climate Reality Project. I hope Joe Bast sees it. I pulled up a backup of my files from DSB, downloaded from them on Feb 15. The budget and binder docs are version (2), and the fake doc is version (3). And as I had recalled, the Board Directory was part of the original release. That doc is not out on DSB now. 1. HI said they made the requested change to the Board Directory, but did not. 2. HI did add Gleick’s phishing email to the Board Directory, as they had stated. That email address was in the Board Directory that HI sent to Gleick, and Gleick cleansed that document of incriminating evidence by removing the phishing address. 3. HI did add Gleick’s phishing email to the Board Directory, as they had stated. That email address was in the Board Directory that HI sent to Gleick. Gleick didn’t want to include the phishing address in his slur package, so he sent a copy of the Board Directory that he already had from an alternate source. The dates present in the title and metadata of the Board Directory support #1 and #3. It’s exactly the sort of “dumb mistake” people make when they operate in the belief they have nothing to hide or conceal. You can bet if I tried the same phishing attack on Bernie Madoff’s organization back in the day, they would not have been so obliging. People accidentally delete email all the time, or forget the charger for their laptop and run the battery down, or have a hard drive crash, or change ISPs (giving them a new email address). Getting requests to re-send documents is routine. The staffer had probably done the same thing on multiple previous occasions. You’re giving HI too much credit in thinking this could all be an elaborate and devious set-up, and actually I would be very disappointed if it turned out to be. Which Heartland board member did he impersonate? Dr Gleick had better hope that he is the rich, powerful, forgiving type. LOL! Hey, I knows wut dis frum…we sketicals we’s edumacated, like. Is a line from Lady Macgleick in Mr Shakes-sumthin’s Macgleick, yes? Just thinking, Mr Apache, Gleick probably faked the memo on his own, but this phishing stuff he’d had to have help with. Guy seems like he’s at my level of IT know-how, and if I were as crazy or stupid as him, I’d be getting advice from buddies. He’s all cocky, now, with his lawyers amd buddies pumping him up, but when the cool, hard handcuffs go “click,” and the charges are politely read, hyperventilation will kick in and soon there’ll be singing. In fact, as the word gets around and the brave eco-warriors tune into the nasty reality, it’ll be a cocophony of an opera, I reckon. They’ll be a lot of hand-washing coming up then. I wonder what Connolley thinks about all this. He seems to know everything. I don’t think anyone told him he was crazy to do it. I think he fully expected no one to have a clue that he was behind it, only of course it didn’t work that way and he realized he’d have to cover his delicate behind. You don’t suppose this isn’t Heartland’s first rodeo ? I believe this tactic might be within the description of a ‘Honey pot’ as it relates to catching hackers, too. Please get this crap yanked ! It strikes me, too, as unusual for a litigant to put so many cards on the table this early. But there are two battles being fought: in the courtroom and in the mind of the public. The first is almost irrelevant: certainly, on the evidence so far presented, Gleick is highly unlikely to get out with his hide intact, let alone with a clear “win.” The second battle is the key, and it requires sustained pressure. Pound on the enemy, identify weak points, drive through, exploit the breach. Do not let him get his footing, do not give him time to think, do not let him take the initiative. These successive disclosures serve that objective. I think that, like Anthony Watts, Heartland is playing its cards very well indeed. And now, the microwave is beeping. Popcorn’s ready. I am not a lawyer, but I cannot remember the last time I watched a legal case in it’s infancy where one side was displaying so much detail of what happened before a judge was involved. Princess Diana’s death. Valerie Plame’s “outing”. David Kelly and the Iraq war fiasco. Heartland could keep all this secret, get a conviction on Glieck in two year’s time after it made its way through the system, and how would that help them? By making it public they get exactly what they want. And may yet get the conviction too. I suspect that the timing of docKtor Gleick’s wire fraud & the personal invitation to speak to an HI gathering is that there was most likely a Board intermediary who informally contacted the good doKtor asking if the invitation would be considered politely by him. That contact would have given him the email address he needed to commit a state & federal crime. QED? LOL? Ally, that was my point…. Anyone else wonder how this would have played out if he had taken the time to do it in a way he wouldn’t get caught? I have been collecting many links that deals with HeartlandGate at my climate forum.It is being updated as more links become available.There are now over 50 and growing. Hopefully this will help build a resource for some research into this sorry mess. Heartland has alleged that this document is a “total fake.” We have taken down this document as we work to determine its authenticity. Single-page document announcing January 17, 2012 board meeting. Single-page agenda for the January 17, 2012 board meeting. However, they are in fact still hosting the document. Links to it still work at http://thinkprogress.org/wp-content/uploads/2012/02/2012-Climate-Strategy.pdf. I hardly consider that compliance with the requirements of ethics, or the request of Heartland. To blame the victim of a crime is what socialists do to feel they’re not responsible for the crime that the state commited against the victim. What gets me is how the warmists pretend our arguments are their own, such as Peter claiming in his confession that he was frustrated at Heartland blocking debate whereas Heartland has been pushing for debate and invited Peter along only days before he “was so frustrated”. And people still believe this guy??? Hey, doesn’t popcorn make you… you know… blow off? In the future, in Greenie-dreams, would that be a punishable offence? Will they Ban the F*rt? Just askin’. You missed the third and most obvious one: HI knows that Gleick is in such deep doo-doo that they’ll settle out of court for a tearful repentance. And possibly ratting out on some of his associates. Oman noted that there are two battles going on here, one for PR and one legal. But as an attorney myself, let me note that when you have got evidence that the other party has committed a Federal Felony, you have got hold of them by the proverbial short hairs. “Pressure them into a concession?” You can make them wear a pink tutu and dance in public for you when you’ve got those kinds of good on them. Muah ha haaa ha… If you get that kind of a popup, your Heartland machine already belongs to me, you just didn’t know it! Two words – three if a hyphenated word counts as two. Firefox + No-Script. But here’s an easier tip: Don’t post full frontal screenshots to the world! Malicious Skunk. Not yer average everyday wondering about lookin’ fer food skunk, but an evil intending, no morals, no standards having, head of ethics, stanky, mofo. Willing to spray anyone guilty of having a differing opinion with the ability to influence others, low life parasite. How do his morals differ from a crack dealers? I have been involved in some very complex Police investigations and, after 30 years of doing so, have come to give a degree of weight to what the Police all over the world call a ‘gut feeling’. My feeling, after reading the actual e-mails is that there is no way that Gleick was acting alone. The timings of the e-mails suggest that collaboration time was required before responses were given to Heartland. I would dearly love to see the contents of Gleick’s e-mail ‘Sent’ box, his phone records, any Skype contacts he made and the records of any IM program he’s using. Mobile phone records, especially if from a Blackberry or iPhone would also be invaluable. With regard to the IT security at Heartland, look to who was actually answering the incoming mail. I’ll guarantee you that it was a member of the secretarial staff. He or she saw a name which they recognised and replied accordingly and you can’t expect someone in their position to react any differently. It’s what makes a mockery of all the suggested security arrangements given above. It’s called the Human Factor and it will defeat any non-automated security system every time. The person involved cannot be blamed. The perpetrator of the fraud must be blamed for taking advantage of this weak link. Do you want to imply that Heartland knew they were being phished when Gleick’s e-mail arrived there? I think that’s one level too paranoid. Of course, they COULD have looked at the e-mail header which tells you the route the e-mail has taken; and probably they would have seen it came from California. Depends on their policies and care whether they did it… In that case they could have played Gleick knowingly… But I don’t think Heartland has the skills to have thought of that. They’re not an IT shop. Not at all…..The Heartland did everything correctly and ethically. The only ingredient for the genius award winner to undo himself was for him to 1) reject the kind offer from Heartland to participate in the conference, and be a bit snotty about it which he did, 2) act on his own failings and hack an email account, 3) think that this would be OK and he’d be carried off as a hero by the crazies. Heartland did everything right. Gleick, did everything wrong, over and over again. They would not want people who are unaware of FAKEGATE to actually stumble on a truthful comment under that video would they? I have flagged that video on Youtube as an example of religious hate speech. and I would encourage everyone else to do so too. It is a criminal libel against the Heartland Institute intended to cause them harm and loss, both crimes in criminal and common law. A big difference between the emails and documents of the Climategate incident(s?) is that the UAE documents appear to have been created, stored and/or received on computers owned by the University of East Anglia, and apparently subject to FOIA requests. In addition, many of the UAE materials disclosed to date appear to have been tied to PUBLICLY FUNDED projects. In the U.S. at least, most larger employers (public and private) have policies noting that said employer may monitor the use of the computer systems and, in addition, often indicate that the users should expect no privacy as the system belongs to the employer. In many cases, such policy statements flash up on screen when a person logs into the system as a reminder. So, they were likely “public” documents in the first place, regardless of any particular scientist’s perspective as to their “private” nature. Heartland and most other PRIVATE organizations are not subject to FOIA, though I expect they do have policies in place about the appropriate use of computer systems. JJ, you ask about the board directory. You wonder why the one leaked doesn’t contain the phishing address. The simplest explanation is the best. It’s because the directory is a PDF that has already been created so the secretary is just re-sending the document. HI won’t be updating the PDF until they really have to, probably at the next board meeting. They will have updated the source of the PDF though, either a database or WordPrefect document. “1. HI said they made the requested change to the Board Directory, but did not. Can’t tell you the time zone, I’m looking at it on German time zone and locale. On which date and time did Gleick send the phishing mail? Not if they have a hard policy of encrypting all attachments. When I was in college I took a summer job at a retail electronics store. While I was there one of the cashiers encountered a money counting scammer (google ‘change raiser’) who short-changed him $500. He ended up getting fired over that, even though we all knew it wasn’t really his fault (company policy yadda yadda). It’s easy to look in at something and say “hey dummy, you’re being scammed!”, but remember, scams work because they are specifically tailored for the individual being scammed. As many have pointed out, the HI staffer probably answers similar requests all the time. If you’re a 9-to-5 office type for a multi-million dollar organization, and a member of the board emails you and asks for a few documents, you probably reply “yes, sir”, not “please verify your identity so I know you’re not an evil scammer, sir”. And once that relationship is established, the scammer can milk it, as Gleick did, until they get caught or cut it off. In the future I’m sure they will be more cautious, but they probably never had a reason to question this request in the first place. So while I understand both sides of this argument, let’s not forget who victimized whom. In spite of what others have said I don’t think the desktop screen shots are all that bad from a security standpoint. It took about 5 minutes to determine they are not using an Exchange server. The fact that they are using ACT! would lead me to believe that they don’t have any servers at all, just a workgroup of computers. The biggest concern I would have is they don’t appear to have any anti-virus software which would typically be seen in the Notification Area. Nope, makes me want to drop a Connelly! Okay, I misunderstood the “did everything right”. But the emails Heartland released today reveal Gleick never asked for either of the two documents that are specifically cited and summarized in the memo, suggesting the memo was written after, not before, he received the phished documents. To me, that is the clincher. If these two documents were referred to in the memo, but not requested by Gleick, I can see no way he could justify his assertion that he received the memo from a third party and then requested documents based on that. It would be a massive coincidence that two additional documents mentioned in the memo would be sent to him even though he had not requested them. It’s not expanded. Look at the small arrow. You can’t see all icons. Sorry, on re-reading my previous post it appears that these were the only two documents that are specifically cited in the memo. In that case, his assertion is an obvious lie, IMO. Re: YouTube “Heartland Department of Education” video. Someone clever could copy that video and dub it over as a satire using off the wall statements by Al Gore, Jim Hansen, etc. Millions of degrees under my feet…. Add in lots of snow and blizzard stills…. I must agree with those who defend the HI staffer who sent the documents. 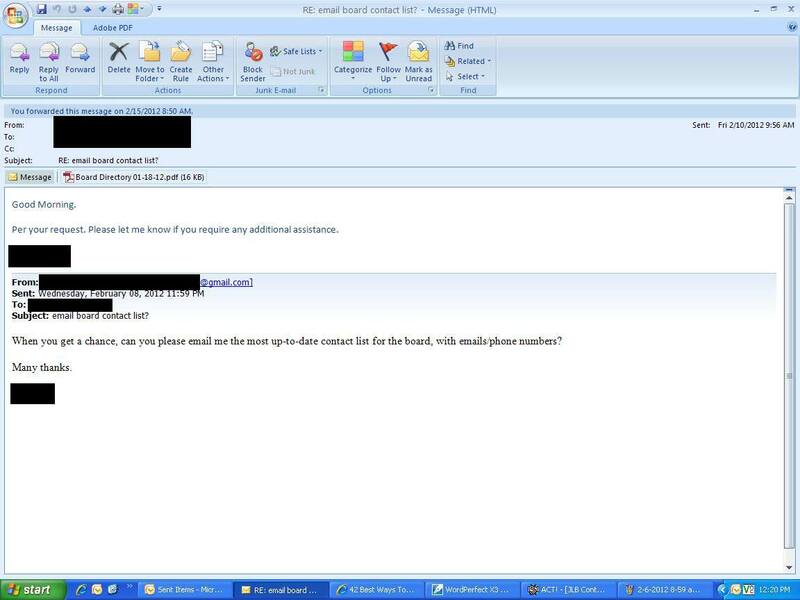 Absent a specific policy to the contrary, lowly clerical staff do not get to interrogate directors of their organisation when they email in with seemingly routine requests. While this episode will no doubt result in a tightening of HI’s security, there are plenty of much larger organisations (including huge corporations) with far more rigorous security arrangements that have been duped and defrauded by determined scammers. Blaming the scammee in this instance is pretty harsh, especially the admin assistant who was just trying to be helpful. Being rude to a director is not generally a good career move. It seems typical of people working alone to assume a hotmail or gmail address is untraceable. Two people working together would be far less likely to be so stupid. So he sufferred a momentary lapse of reason over the course of 20 days, finally fessing up after realising he was caught. There are two sets of documents online at DeSmog – one set uploaded with DeMelle’s story and a different set, separately uploaded, with Littlemores story. They are also available at Greg Laden’s blog and Think Progress. The Board Meeting Minutes are still available at DeMelle’s DeSmog story. The Board Directory were originally available but have been removed at DeSmog. The Board directory is still available at Laden’s and Think Progress. In my opinion the reason the Board Directory was removed was because it points directly to when Gleick obtained documents from Heartland. Its Created Date is 1/29/2012 – so for any distribution from Heartland to Gleick to have included the Board Directory it would have had to be after 1/29/2012. Heartland’s release of the email timeline today shows this to be exactly correct. DeSmog was attempting to protect Gleick (or potentially their complicity) by removing this document which provided a key timeline piece of info. A clumsy attempt at best – since other sites hosted it, and it had been downloaded by many of us when it was posted at DeSmog. If he’s decided to dispose of the PC that received the emails, which would logically be the one he created the ‘memo’ on, any investigation will note that he didn’t retrieve the emails on the right date if he chose to recover them again on a different PC. Speaking of IT and other resources implicated in Gleick’s frolic, if the police have not already seized records and equipment at Pacific Insitute, I would imagine the Institute is working overtime to figure out what fingerprints Gleick (and any conspirators) may have left on its systems. If the police seize its primary system, the Institute may have to go to a backup system and rebuild its institutional memory and competence. It will certainly need to figure out its exposure under criminal and civil law, under media and political scrutiny, and the impact on its donor base. Just imagine how upset those donors would be, if they had expected confidentiality, and had it breached by some self-righteous twit who didn’t like their cause. …I would imagine that one of Heartland’s pressure points here is the cultural violation by Gleick: one side may call the other names, but it should never, never, go after the donors. What if the secretary who sent out the information was temporary staff? I do not blame the person because it sounded very routine, but a temporary person is less likely to question something that looks out of the ordinary. The icons you can’t see in the notification area are inactive. Anti-virus software is only effective when it is active. Mann had previously e-mailed his suspicion that McIntyre was being secretly funded by a think tank. This was the “smoking gun” Gleick was after, I suspect. How much time before Gleickian force take the tack that Heartland acquiesced so easily to his impersonation so as to entrapp him. Interestingly, ThinkProgress version of Gleick’s forged strategy memo and the DeSmogBlog version are different. Both are generated from the same Epson scan on 2/13/2012 at 12:41:52 PST, but the ThinkProgress version was written immediately using PDF 1.4, while the DeSmogBlog, HuffPo, and other versions, were written using PDF 1.5 a day later on 2/14/2012 at 12:36:20 PST. This make me wonder if Gleick had a friend at ThinkProgress review the forgery for a day before sending it out for wider distribution. Gleick refused to participate in the HI conference because of his unwavering commitment to transparency. Indeed Pacific Institute publishes a list of their donors. Therein lies another Gleick hypocrisy. Do his donors publish lists of their donors? Funny that Gleick wasn’t bothered by that lack of transparency. A very simple point – at least some of the phishing emails were sent during work hours. If he was doing this on Pacific Institute time his troubles compound. Well, from 6th to 13th of February Dr. Gleick had exactly 7 days to fabricate the fake document. He might have been too busy during the week and had to wait for the weekend to come up with something that fitted his purpose. It would fit very well if he then scanned the fake document on Monday at lunch time (12:41:52). Well, at lunch time it is much easier to scan something without anybody else being around and for obvious reasons he wanted to be alone for that. He declined one hour after he started posing as a board member! And there are people who think he’s a hero because of exactly this behaviour? Unbelievable! It is legitimate to ask: Where were the same ethical considerations with the E-mails actually stolen in what you refer to as the “Climategate’ incident? There are too many games being played with this whole issue. The reality is that the climate is changing, causing massive losses of biodiversity, increasing acidification of the oceans, and huge losses of ice at the Poles and from glaciers. All these and other changes are well documented in scores of separate research papers in accepted peer reviewed Journals. If we all stopped gaming around this crucial issue we could move ahead collectively to solve our common problems. This is a huge challenge but, I’m sure, with goodwill we can do this. Pepper is nuts. There is absolutely NO evidence that the Climategate emails were, in his baseless words, ‘actually stolen’. Anyone with an ounce of common sense knows it was an inside job. They were leaked by a whistleblower. Pepper is right, though, when he says there are too many games being played. But they are all being played by the alarmist side. The central issue – the only issue, really – is the fact that Gleick confessed to criminal activity. Everything else is peripheral. Pepper needs to acknowledge that, and condemn Gleick for his unethical, illegal acts. Pepper says: The reality is that the climate is changing, causing massive losses of biodiversity, increasing acidification of the oceans, and huge losses of ice at the Poles and from glaciers. All these and other changes are well documented in scores of separate research papers in accepted peer reviewed Journals. 1. The climate is always naturally changing. Only Mann’s acolytes beleive otherwise. 2. There are no “massive losses” in biodiversity. The fact is that satellite measurements show an expanding biosphere. 3. The oceans are not acidifying. They hold well over 400,000 times as much CO2 as the air. Oceans control the atmosphere, not vice versa. 4. There is some natural, cyclical ice loss in the Arctic. It has happened regularly and repeatedly in the past. And Antarctic ice is growing. Some glaciers are receding as a direct consequence of the planet’s emergence frrom the LIA. Human activity has nothing to do with it. 5. There are plenty of peer reviewed papers dirctly contradicting all of the failed assumptions in Pepper’s #1 through #4 false claims. Hugh Pepper summarizes the nonsense perpetuated by alarmist know-nothings. He is a True Believer. CAGW is his religion. There is nothing scientific about any of his beliefs. @ChE: The keys need to be treated like … keys. Handed out on a need to know basis by the IT guy. In person. Only. Generally impractical. The better alternative would be to rely on public key encryption and infrastructure. Send whatever you want to “directorsname@gmail.com” but encrypt it to his or her known Public Key and Gleick (or any other pfisher) sees nothing but apparently random characters. For those of you who care or have been paying attention, Peter Gleick is also one of the 37 cosignatories to the Wall Street Journal article written by Kevin Trenberth in response to the January 27 WSJ article entitled, “No Need to Panic About Global Warming”, which was signed by 16 scientists with distinguished careers in climate science or related fields. Peter Gleick also sits on the Board of Directors of the National Center for Science Education (NCSE, Oakland CA), which plays an important role in K-12 science education in the US. Victor Yannacone and I wrote an op-ed to the WSJ pointing out the relationship of Peter Gleick to fraudulaent climate science and NCSE, but our op-ed was not published by the Journal. I doubt Heartland will fall for it. Greens simply do not understand their opponents, and so will not be able to entrap them except by luck. And I rather suspect Heartland et al has little to hide. After all, the science is firmly on their side and not that of the lying fearmongers. VNC v4.6.3 supports session security with 256-bit AES encryption and with long enough passwords would be next to impossible to crack and there are no known unpatched vulnerabilities. With the latest versions of those programs fully patched (including Windows), that is highly unlikely. Spend a little time (with proper authority and permission of course) doing some penetration testing at your institution. You’ll find yourself wearing a tinfoil hat and wandering around mumbling something under your breath about your swingline stapler. It’s not the “known” exploits that worries you so much, although it’s amazing how many of those go unresolved, but the unknown exploits and zero day exploits. Maybe VNC doesn’t have any current exploits – hopefully (crossing fingers) they’re running that perfect version. ACT! hopefully isn’t vulnerable. Hopefully their Browser hasn’t been anywhere dangerous or done anything silly. We don’t know. They may not even know. But now the whole world knows where to start, because of a few screenshots. Heartland clearly has enemies now and their numbers have swollen in the last couple of weeks as they get dragged through the mud in the blogosphere and “press”. Those enemies believe their cause is just and will do anything to “prove it.” This is the EXACT moral superiority complex that overtook Gleick allowing him to be justified doing nefarious things, to prove he was justified. I can pretty much guarantee you that Heartlands machines and softwares are under heavier assault than they were before. Their personnel will continue have more Social Engineering attacks than before. Don’t go giving away the store and making their attacks easier, with screenshots. That’s my only point – not what version of a specific software they’re running and how up-to-date it currently is. With the help of the active digital forensics discussion at Lucia’s it appears that Littlemore’s copy of the forged strategy memo was opened in a PDF 1.5 reader and saved locally with “Save As…” (thus numbered suffix). I was mistaken to think that the metadata was re-written prior to Gleick’s distribution email. This preserved the document ID but re-wrote the metadata with an updated instance ID. Indeed, Demelle’s post, also at DeSmogBlog, almost simultaneous with Littlemore’s, uses the original forged memo. That changes the timeline inference that I had made earlier, about DeSmogBlog posting the document only 38 minutes after it was written. The revised timeline means that the documents were posted almost exactly 4 hours after being sent by Gleick. * Friday, 1/13/2012 11:12 AM CST: Jim Lakey invites Peter Gleick to a debate on climate change at the HI Benefit Dinner. * Tuesday, 1/17/2012 03:25 PM CST: Jim Lakey sends details of the invitation and an explanation of Heartland’s donor listing policy, and its history. * Friday, 1/27/2012, 8:36 a.m. CST: The first of 8 email messages in which Gleick begins his identity theft by impersonating a HI board member, and asking that his email address be added to the board distribution list, but to keep the old one also, (so as not to arouse the suspicion by disconnecting the real board member). * Friday, Fri 1/27/2012 9:33 AM CST: Gleick declines the invitation to debate at Heartland, a little less than one hour after his first identity theft message. 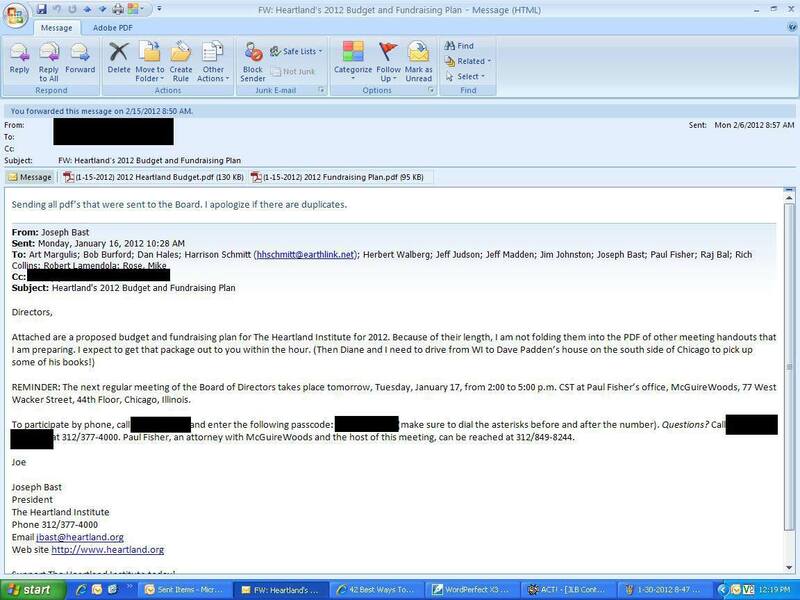 * Friday, 2/3/2012 10:38 AM CST: Gleick (posing as a board member) receives the 1/17/2012 meeting agenda and information package. * Monday, 2/6/2012 8:56 AM CST: Gleick (posing as a board member) receives the 2012 Budget and the 2012 Fundraising plan documents. These are the last documents he will need to construct the “2012 Climate Strategy” forgery. * Friday, 2/10/2012 9:56 AM CST: Gleick (posing as a board member) receives the 1-18-2012 Board Directory document, the last of the stolen documents. * Tuesday, 2/14/2012 12:36:20 PST: A recipient of Gleick’s message at DeSmogBlog reads the attachment in Adobe Reader, and then uses “Save As…” to save the forged document for subsequent posting. * Tuesday, 2/14/2012 approx 13:13 PST: Demelle’s DeSmogBlog post of the forgery and the pilfered documents, using the original scan of the strategy memo forgery. * Tuesday, 2/14/2012 (21:14:06 GMT) 13:14:06 PST: Littlemore’s DeSmogBlog post of the documents is announced on their facebook page, using the re-saved scan of the strategy memo forgery.